Last week I received Mary Maxim’s catalog. (It probably arrived at work as well since I once got an order delivered there.) On the cover is their newest yarn, Maximum Value. 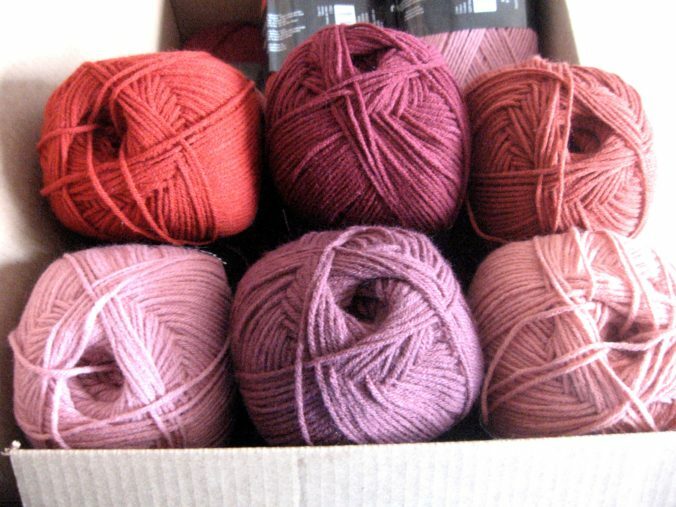 Saw some really nice colours that I thought would be great to knit the Stef Scarf. You can see the colours on the top photo. I made a mistake though. I saw the 5mm on the info but it was for the crochet hook, not knitting needles. To get gauge, it should be knit with 4,5mm. So this means the yarn is slightly thinner than what I currently use. Yesterday and this morning I worked with the yarn to knit the scarf but meh! I am absolutely not thrilled at all with the yarn on 5mm needles. 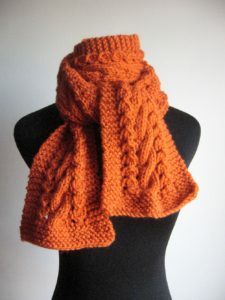 I worked a bit with the 4,5mm and much prefer the look of the knitting but it won’t do for the Stef scarf. The width works but the length is not what I like. The cables are shorter than I like. Had I noticed the 4,5mm I would not have bought the yarn. It’s an expensive lesson learned since I bought a bunch of the same colours. I know I will eventually knit a lot of stuff with this yarn; I do love the stitch definition using 4,5mm needles. This will teach me to check better before I buy!